"10 days to enable 500 000 users. Buddycloud's ready-made components enabled a quick time to market"
What does Project Isizwe do? At Project Isizwe we provide free WiFi to low-income communities in South Africa. We focus on helping our users access educational content, apply for jobs online, communicate, and share information with each other. We believe that the best means of achieving this goal is the deployment of government-funded Free WiFi throughout public spaces in low-income communities including schools, university campuses, public parks and libraries. Security: As we rollout Free WiFi to public spaces, security is vital to us to protect our users. Adaptable: We need an adaptable solution that can constantly evolve to meet the needs of our users, in that way Buddycloud works well because of its variety of applications and adaptations we can make as we further establish our content offering and relationship with users. Scalability: We required a solution that has the potential to reach millions of users. From project kick-off to first signups in 10 days. Benefited from being able to plug into the existing Buddycloud network of tools and services: gave us a quicker time-to-market and rich set of launch features. The project connects the government with the community: users can connect directly with community leaders and even the Tshwane mayor. Based on our relationship with the City of Tshwane and their commitment to getting all citizens connected, we required a real-time chat platform where the City could communicate with residents about service delivery issues and stay in touch with what is going on in communities around the city. Our communication solution is called WiFi Chat and is built using the Buddycloud messaging stack. 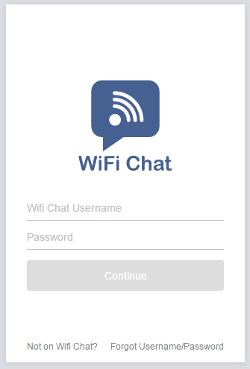 WiFi Chat is a real-time communication platform that users can signup for, create a personal profile and subscribe to chat rooms. Content is shared from admin to user based on the needs of the city and citizens. The Buddycloud stack gives us a set of ready-made components that supported all the user and group messaging features. This meant we could focus on the frontend and rollout. What's Project Isizwe's technical focus? Our goal is to provide Free WiFi access with no passwords or logins to anyone with a WiFi enabled device. Upon connecting to the network our educational and jobs focused content portal (called Tobetsa) allows users access to unlimited specially curated content that they can use without having it cut into their allocated and capped 250MB of daily data per user. The free internet access points are located strategically to allow for learners, students and job seekers to access the network and make use of portal content for free as well as to encourage access to information, economic development and social inclusion. We are happy to confirm the expansion of the Tshwane Free WiFi project in the City of Tshwane which will include the establishment of an additional 1 800+ new Free WiFi Zones (FIZs) to the already successfully rolled out 575 FIZs in the City. Together with free internet and curated content, we wanted to add a social angle. WiFi Chat built on the Buddycloud stack helped us connect users with each other and with community leaders. The person responsible for this is Tim Human. Here's the story behind WiFi Chat, and how they came to use Buddycloud. Hi, I’m Tim Human, I work as Marketing and Content Manager at Project Isizwe. 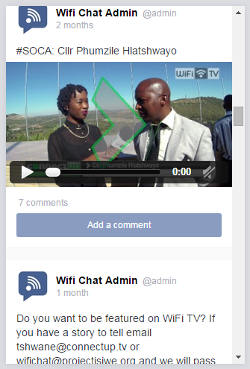 I spearhead all content on Project Isizwe Free WiFi networks and strategies to drive utilization from users. What other projects do you contribute to? I also work on all marketing and communication aspects of Project Isizwe, as well as funding proposals, etc. Why did you decide to use Buddycloud? I decided to use Buddycloud because I needed a customized and adaptable platform to drive communication between the City and Users and users amongst each other. Tim, Marketing and Content Manager at Project Isizwe. What do you expect to see Wifi Chat grow into with the help of Buddycloud? I would love WiFi Chat to become the ‘go-to’ messaging and communication App in the City of Tshwane to connect all Users of Free WiFi to the city and each other. After working with Buddycloud, who would you recommend it to? Any business or organization who want to create a bespoke Messaging platform, either for internal communication or drive communication between themselves and clients. 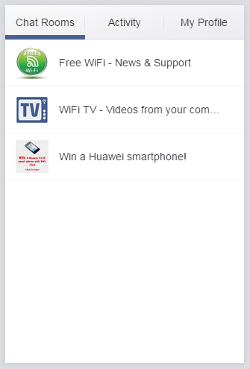 To learn more about Project Isizwe’s Free WiFi networks contact Project Isizwe.